A luxury suit is an outfit that many of us would like in our wardrobe. Unfortunately, the number of times this type of suit is actually needed doesn’t justify buying one, and the price means most of us cannot afford to buy one. Not being able to buy a luxury suit does not mean that you will never be able to attend an event in such an outfit. The option of suit hire will allow you to find the suit you desire. Luxury suit hire is extremely popular for numerous different occasions and gives people the chance to dress in the finest threads at every gathering. Making an impression is very important at formal events and suit hire provides you with the option for a new and modern suit at all times. Unlike the lounge and Edwardian suit, luxury suit hire is not named so because of the cut but because of the fabric used and designer. This means having plenty of options available when deciding on a type of suit. There are luxury suits for weddings, proms, banquets, balls and royal occasions and all kinds of colours and styles can be picked from. A luxury lounge suit is a very popular choice for many people; this is largely because of the versatility of the lounge design. The lounge suit can be worn as easily at weddings as it can at black-tie events, a luxury version is certain to have people talking, in a good way of course! Luxury suit hire will provide you with a fabric and tailored fit that are a cut above the rest. Herringbone, cashmere, fine wool and silk are the commonly used fabrics in luxury jackets and trousers, and each has its own benefits. Herringbone is a similar fabric to tweed and is a heavy and durable material that will rarely wrinkle. It has a zigzag pattern and is generally seen on rare vintage suits. Cashmere suits are at the high end of luxury. The fabric is soft and gentle to the touch and is perfect for all climates as it can provide insulation based on the moisture in the air. Cashmere is softer than both linen and cotton as feel great on skin. There are many kinds of wool that are used for suits, not all types are deemed to be worthy of luxury status. The quality of wool depends on how highly it is spun. Regular wool suits will be spun at super 90’s whereas finer wool will be spun as high as super 200’s, basically the higher the number, the better quality of wool. Fine wool is famed for providing maximum levels of comfort. 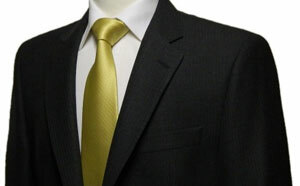 Silk is also a common material with luxury suit hire. This fabric comes from moths (the insect) and is renowned for comfort and shimmering look. Silk is also very cool to the touch and ideal in warmer climates. Many top designers provide fine silk suits, and the material is very popular with the lounge cut.